Divestment activists were quick to declare a “huge win” stemming from an announcement last week by the University of California’s Chief Investment Officer (CIO) that he had decided to sell roughly $200 million in investments tied to coal mining and oil sands development companies. But a closer look at the actual video of the investment committee meeting at UCLA on Sept. 9 reveals quite a different story: as it turns out, UC didn’t sell those stocks for any amorphous moral reasons. It sold them for financial reasons – and may actually buy them back in the future, if conditions warrant. Or, in other words, UC did what every investor with an E-Trade account does multiple times a week. Put simply, the decision to sell these investments took little time because the investments were small to begin with. Just as Bloomberg reported earlier this year, divestment campaigners have been quick to celebrate “empty gestures” in which a school either declares its intent to divest from securities it doesn’t actually own in the first place, or, in this case, sells stocks that it says it may buy back later if market conditions improve. That’s not divestment, friends. That’s just smart, everyday investing. 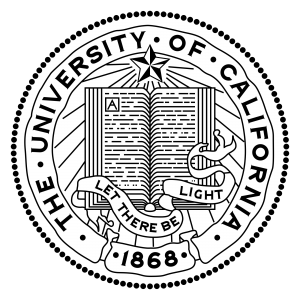 In a follow-up report from the Los Angeles Times, it was revealed that UC still holds “about $10 billion in various types of energy industry investments, about 10 percent of the $100 billion or so it holds in endowment and pension funds.” And, as it relates to the UC’s position on oil and gas, “there are no plans to extend the sell-off into oil and natural gas,” according to the Times. But again: the most important thing that UC confirmed to the Times and other outlets is that, if market conditions change, the board would be open to purchasing back into these companies. UC spokeswoman Dianne Klein affirmed that the university is still free to purchase shares of those companies in the future if the market conditions warrant. Such a move would be nothing less than the opposite of divestment. Meanwhile, a study released just last week by Caltech professor Bradford Cornell provides a more substantive look at just how much divestment policies would cost individual school endowments. Based on a 20-year history of returns, the study found that the exclusion of energy securities from the investment portfolios of five top American universities with some of the largest endowments in the nation (Columbia, Harvard, MIT, NYU and Yale) would create disastrous losses: based on calculations, Harvard alone would face $107.81 million in expected shortfalls in just the first year. As this and other reports have found, whether your endowment has lots of energy-related securities in it, or just a little, the impact of divestment is likely to be significant – driven mostly by the loss of diversification benefits one receives from maintaining a balanced portfolio that’s spread across multiple sectors of the economy. While the Cornell report didn’t evaluate specifically how divestment would impact Cal’s endowment, the fact that the Cal portfolio generated a whopping return of 22.6 percent last year, when the rest of the market was returning only 11.4 percent, and with oil and gas prices in the tank, should tell us a lot. Turns out, even with under performing fossil-related equities (owing to the downturn in oil prices), Cal’s endowment crushed it. The real lesson learned this past week from the media coverage generated around the UC announcement is that divestment organizers are in desperate need to show some momentum. The fact remains that school after school, including UC, has rejected divestment because it carries with it enormous real costs, while producing no real benefit. Rather than a divestment “win,” UC is just one of the many schools that have made a calculated, rational choice to not divest, but rather continue to buy and sell assets within the context of current market conditions. That’s all this is, irrespective of how the other side tries to sell it.